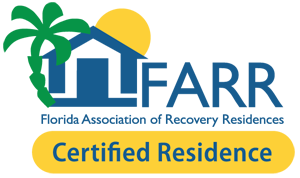 At Perspectives of Florida we understand that addiction recovery is more than just removing the drugs and alcohol. Our treatment program is designed to support the whole person. 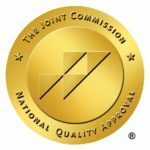 A team of highly acclaimed medical doctors, psychiatrists, credentialed and experienced counselors, therapists, interventionists, and sober life coaches go beyond the traditional modality for substance abuse treatment. We work in collaboration with clients and families to address the many factors that contribute to addiction. As clients move from addiction into recovery – everything changes – we are here to support clients through all these areas of change. Our proven treatment modalities are interwoven to create an impact on not just the client’s addiction, but their entire life. Our mission is to offer structure and accountability in a warm, stable, family friendly environment. To assist those in recovery from alcohol and drug dependency, by not just eliminating the alcohol and drugs, but in learning to live a healthy and fruitful life. Our passion is helping our clients to discover and develop their skills and talents, on the path of a deeply fulfilling and meaningful life. Call today and we’ll tell you just how easy and affordable that first step in recovery can be. At Perspectives, our goal is to make treatment available for those in need of substance abuse rehabilitation services. We work with Medicaid, Medicaid HMO’s, private and commercial insurance policies to assist our clients in receiving the treatment they so desperately need. If you do not have insurance, please reach out to us and our staff will help you understand the various options for treatment. The admission process is simple, give us a call and someone from our program will be ready to assist you. We can help you or a loved one stop the vicious cycle of addiction right now.